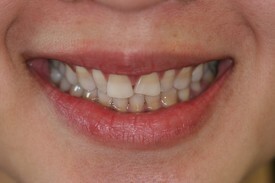 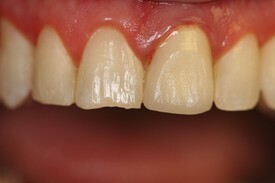 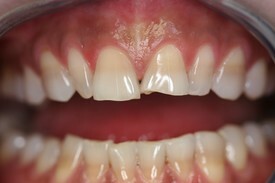 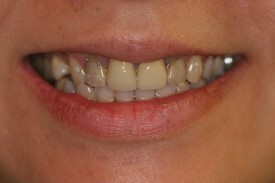 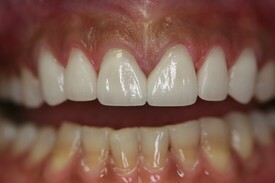 Before: Patient' teeth had tetracycline staining causing discoloration of her teeth. 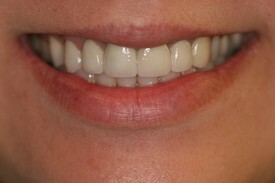 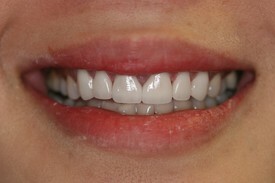 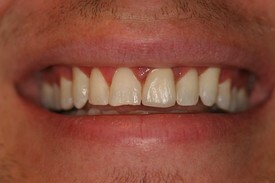 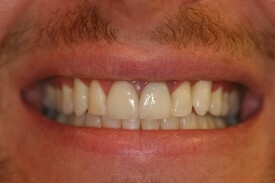 After: Veneers were placed conservatively to not only improve color but shape of teeth. 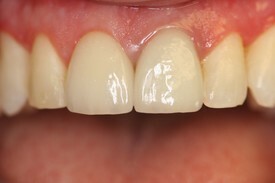 Note the space between center teeth also closed.